Firoz Ahmed Khan has joined LankaBangla Finance Limited as Deputy Managing Director (DMD). Prior to his new assignment, Khan was the head of retail banking of BRAC Bank Limited. He was instrumental to transform the bank won “The Asian Banker Excellence in Retail Financial Services Awards” for the Best Retail Bank in Bangladesh in 2011. First eCommerce payment gateway in Bangladesh in 2010 and first ever “Planet Card” to support green banking were some of his initiatives. He started his banking career with the ANZ Grindlays Bank as Finance Manager in 2000. In his 16 years diverse professional career, he was also the Head of Finance in Consumer Banking Division of Standard Chartered Bank from March 2005 to June 2008. 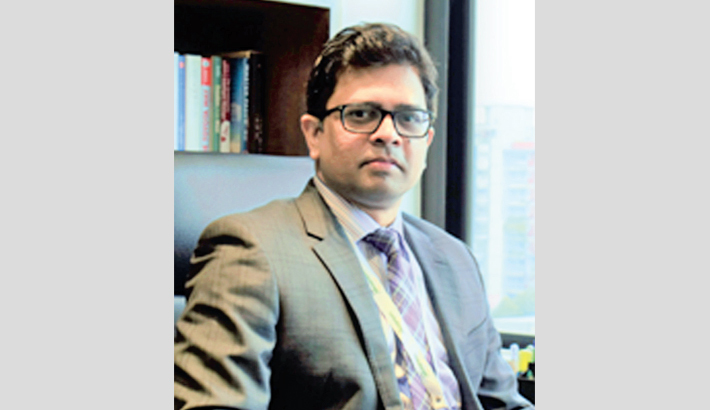 He is the co-founder of “Financial Forum Bangladesh” and “Finova Technologies Ltd.” He completed his Bachelor of Technology in Aerospace Engineering from Indian Institute of Technology, Madras, India and an MBA from Institute of Business Administration (IBA), University of Dhaka, Bangladesh. Khan’s addition to Team LankaBangla would help LankaBangla Finance to be on the right strategic direction and create more value to the stakeholders.